This consultation is the main step toward achieving your goal of rejuvenating your face and looking years younger. 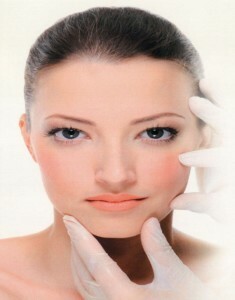 Your skin will be evaluated by our Consultant Facial Aesthetic Surgeon. 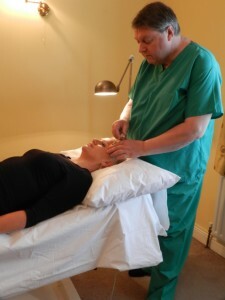 The skin characteristics are recorded, so that a treatment plan can be designed and tailored for you personally. 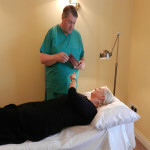 The treatment plans are based on sound medical research and principles, designed to give proven, natural results. In this practice, we aim for the natural look and not the frozen look. Your input is important and you should discuss your expectations with the doctor at this time, who will go through all the details prior to treating you. Facial Aesthetics is the art and science of remodelling and resculpting the face to reduce the signs of ageing and produce a younger looking profile. We prefer the natural look in this clinic rather than the American frozen looking appearance. This is achieved by a liquid facelift, by filling-in fixed lines and reducing and eliminating dynamic lines. Various areas are treated, the forehead (upfrown lines) and upper nasal down frown lines (glabellar), and the laughter lines (crows feet), is the typical place to start. The nasolabial folds (nose to mouth lines) and the marionette lines (mouth to chin) are softened and reduced to great effect. Only high quality hyaluronate (such as Juvederm) is used and results are immediate and long lasting. Muscle softening material takes a couple of weeks to give best results and two or three treatments a year is usual. The more treatments done, the longer it all seems to last.